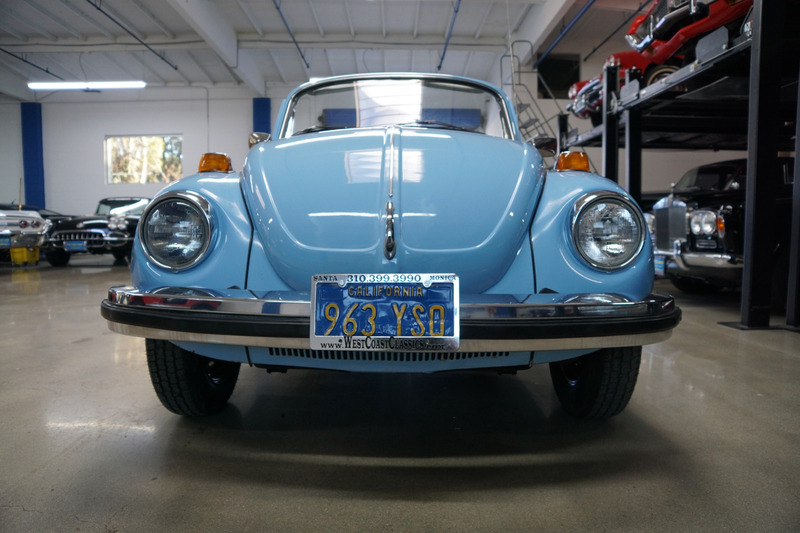 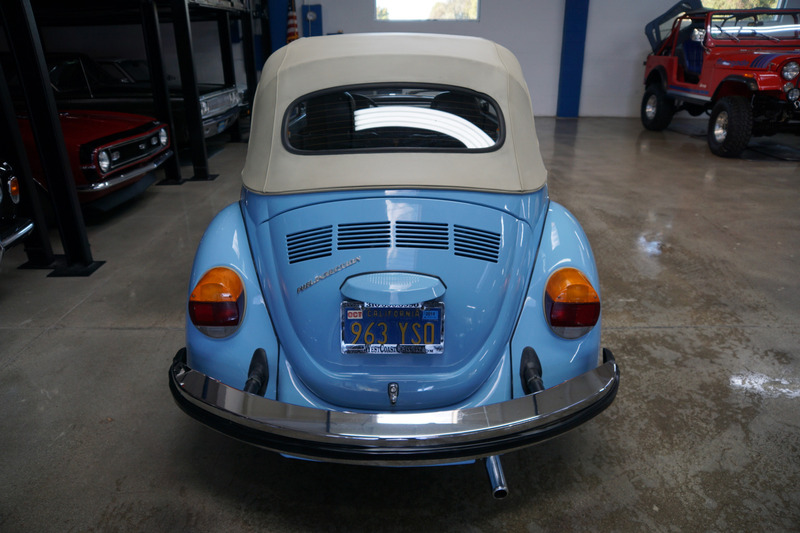 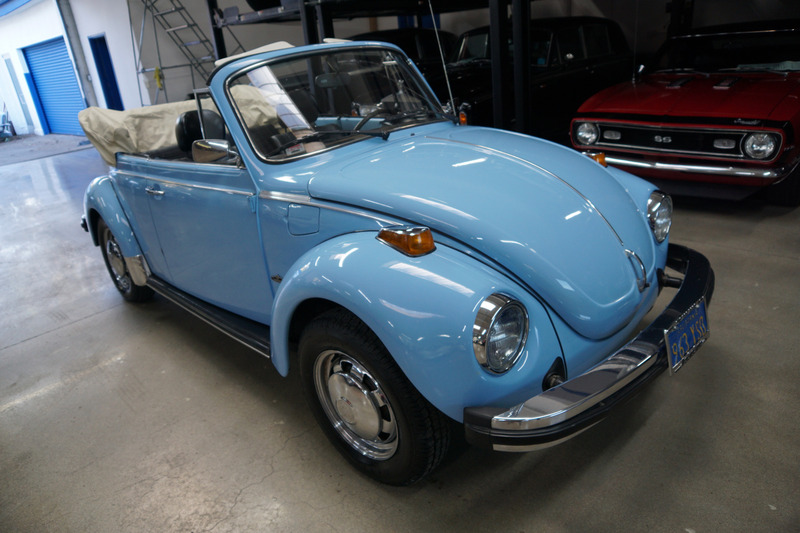 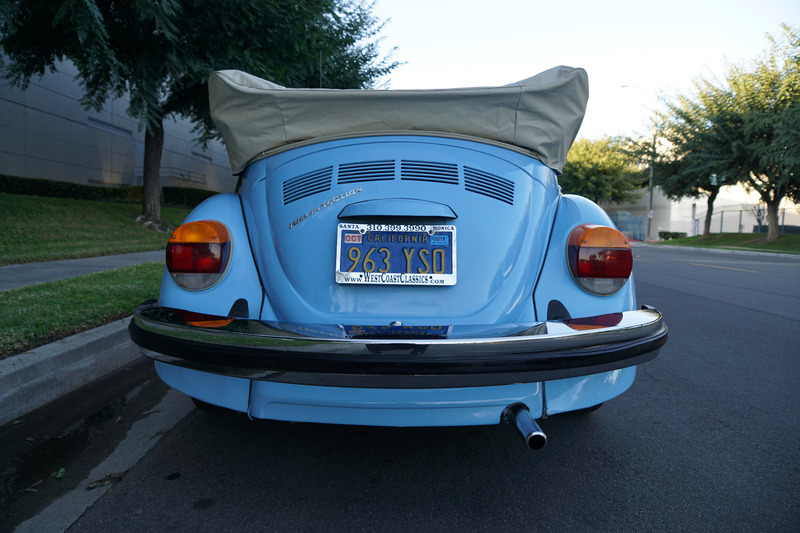 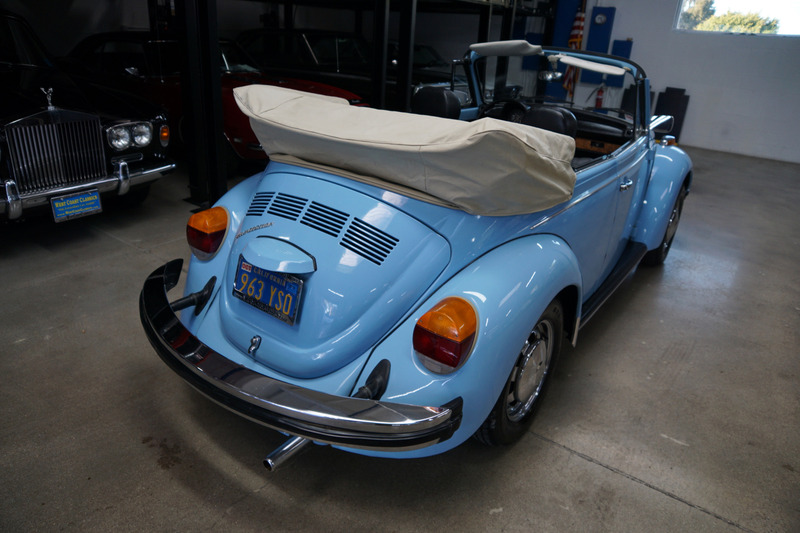 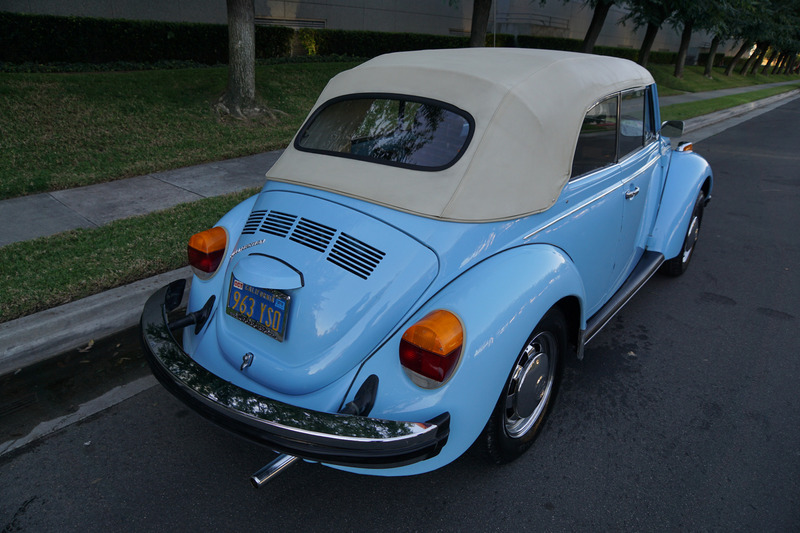 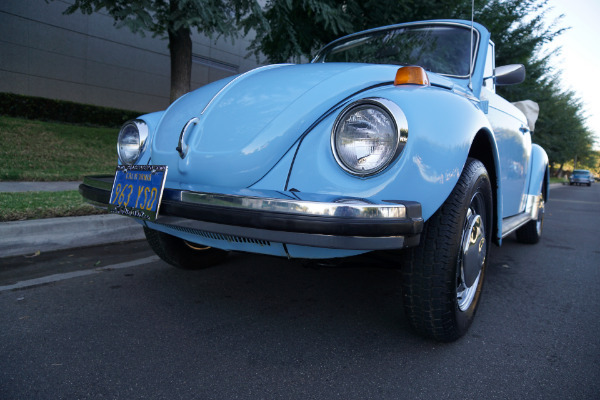 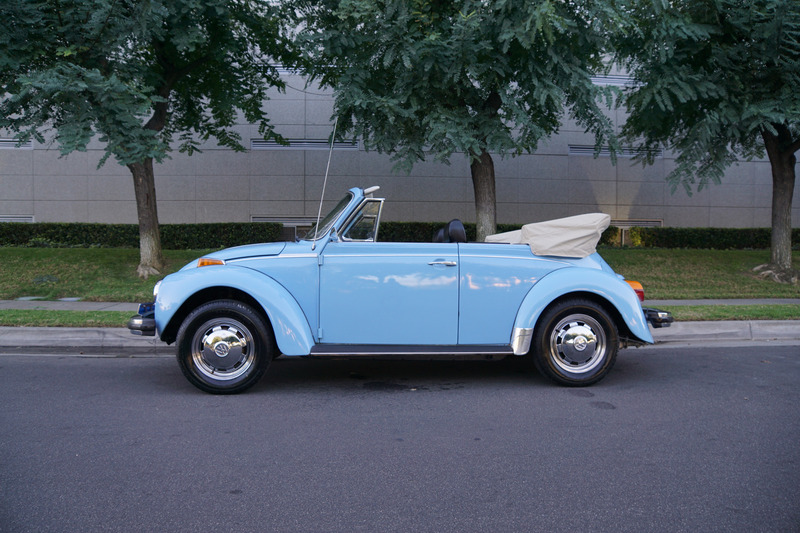 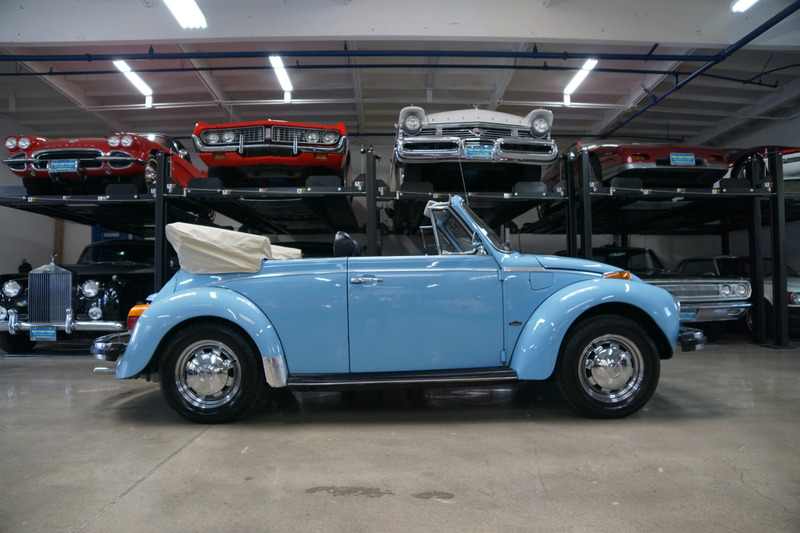 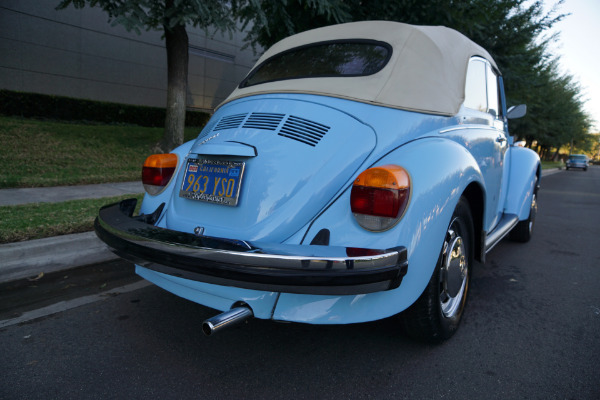 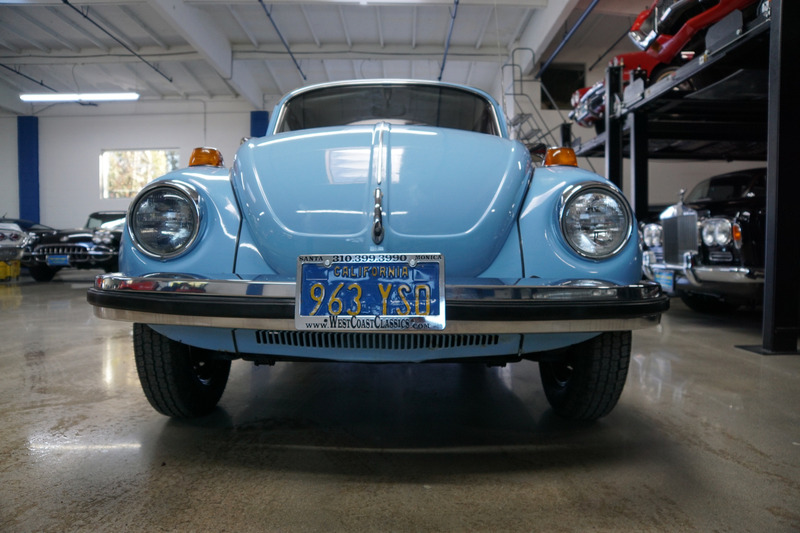 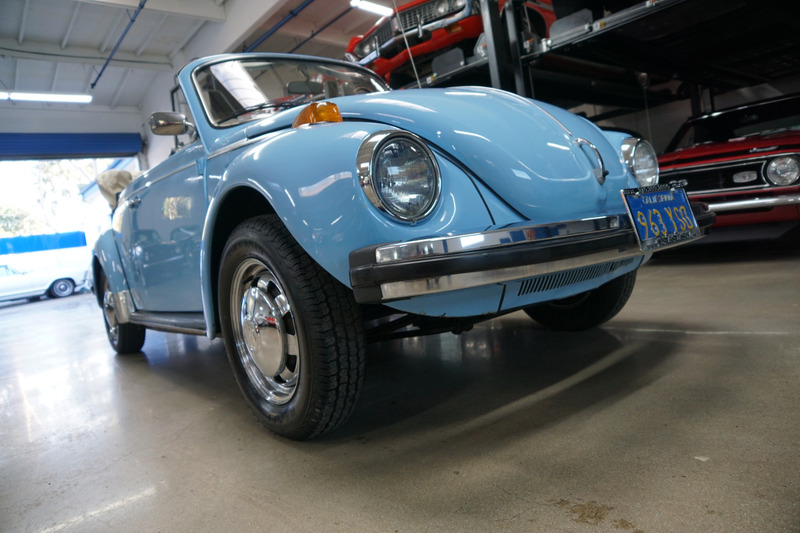 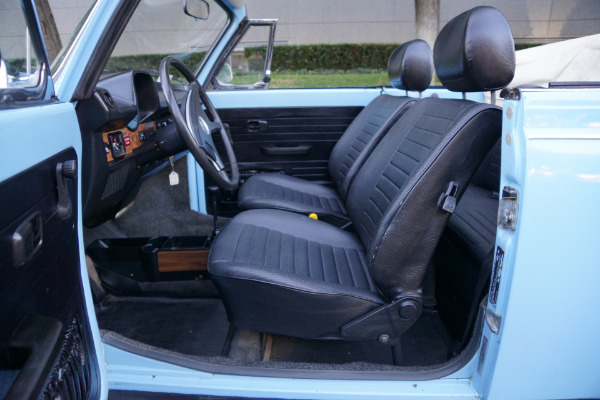 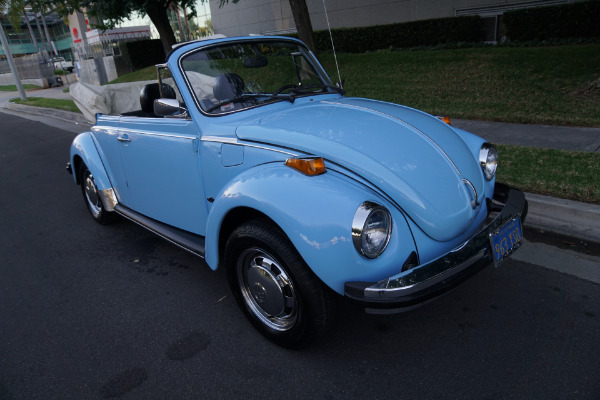 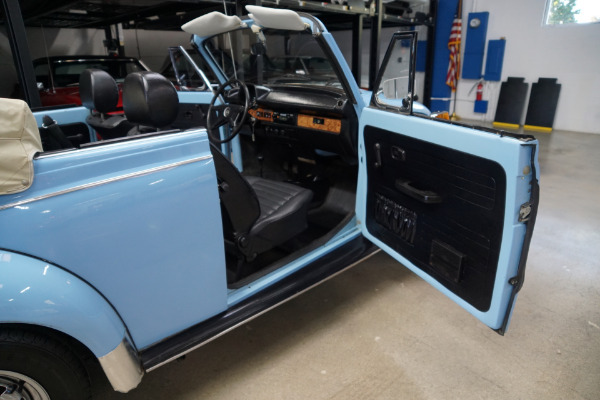 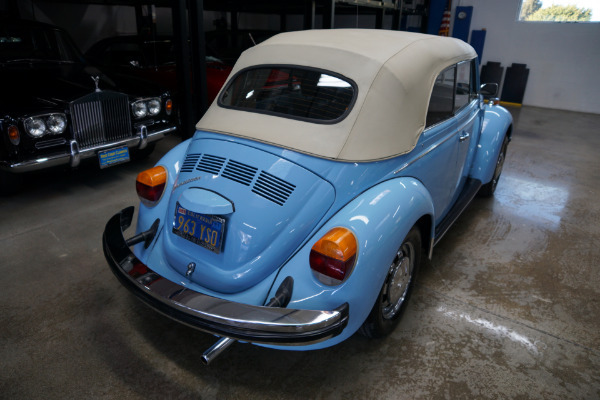 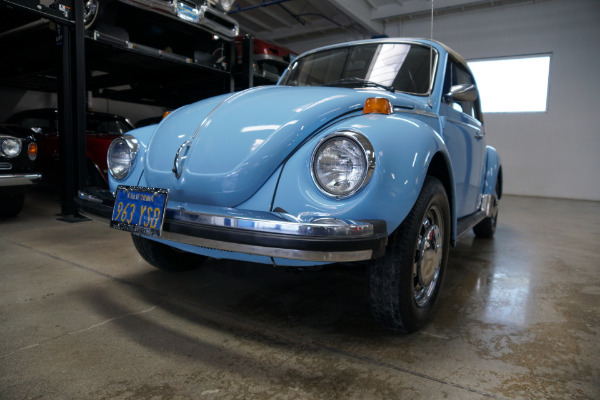 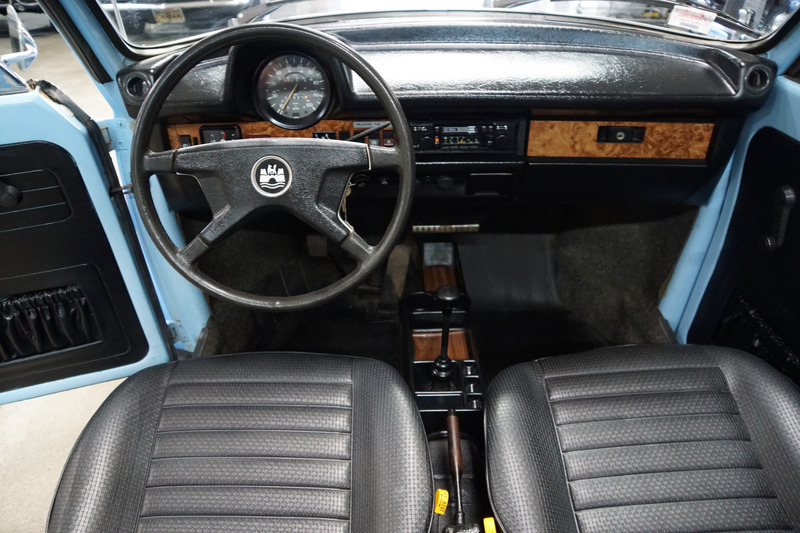 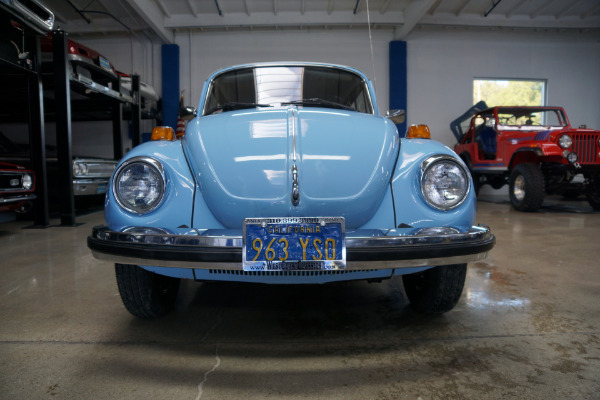 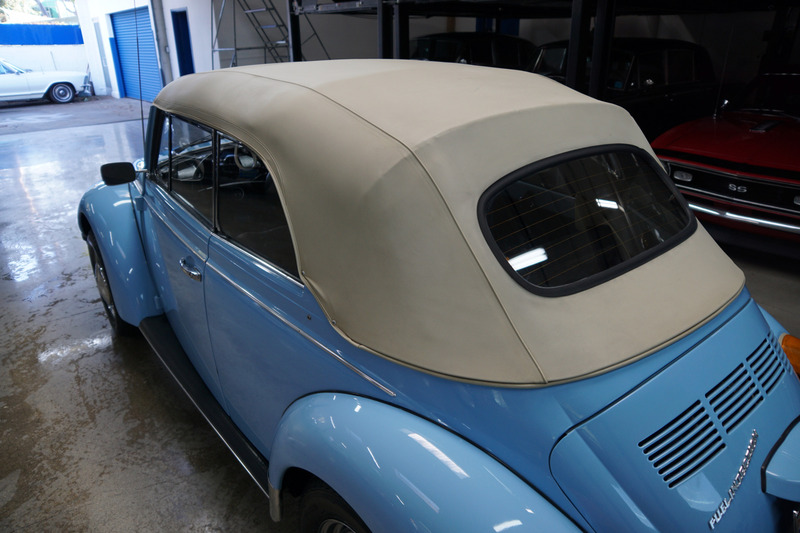 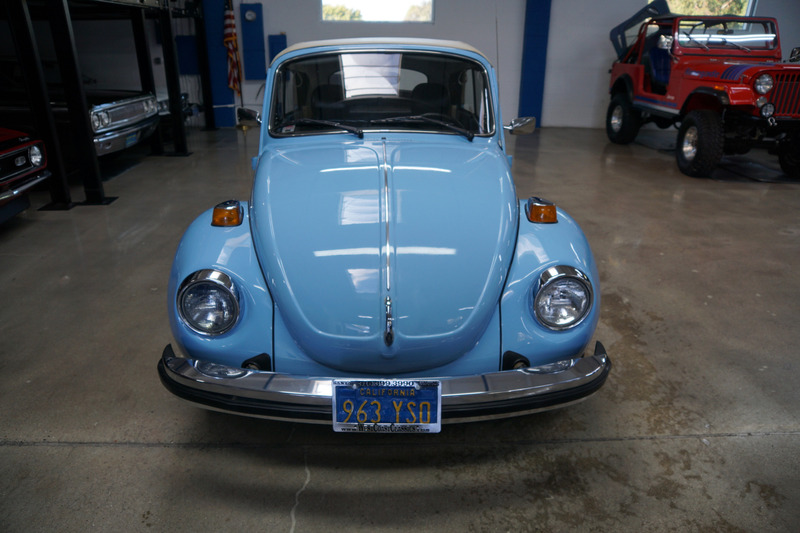 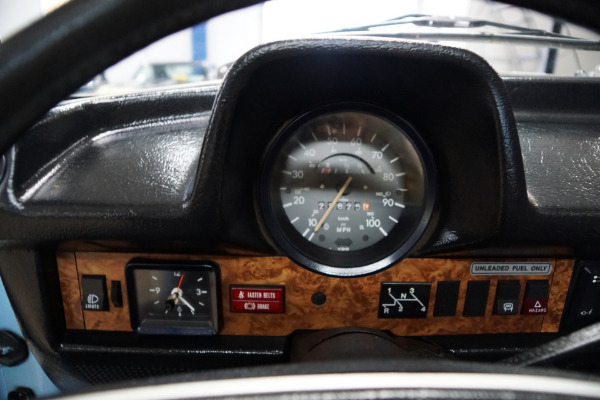 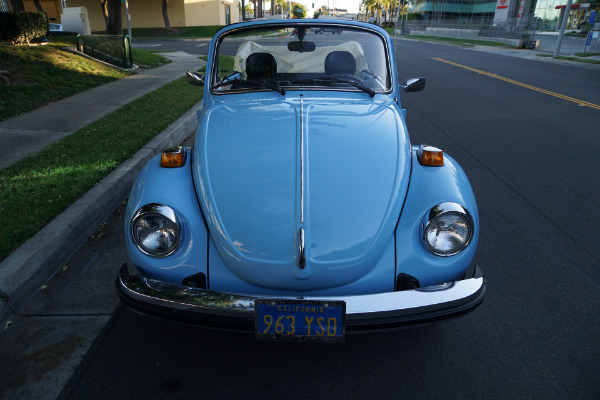 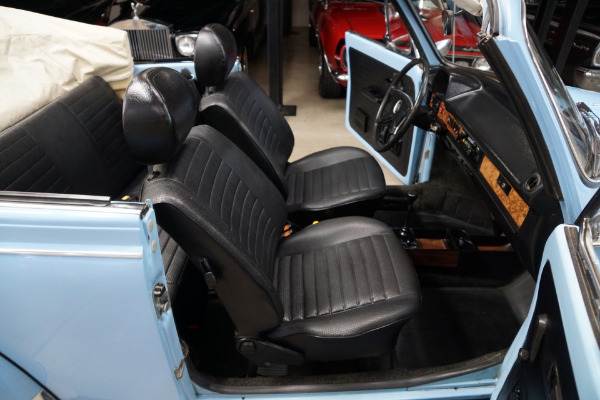 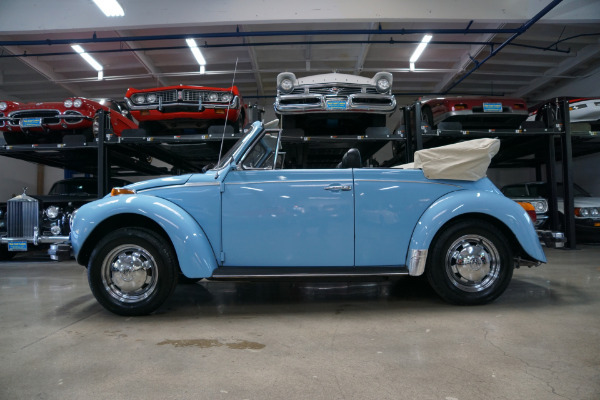 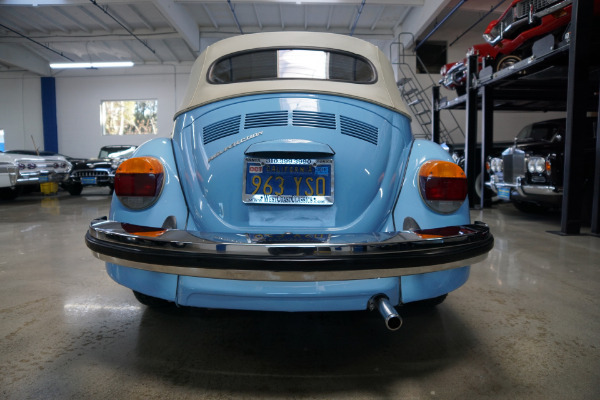 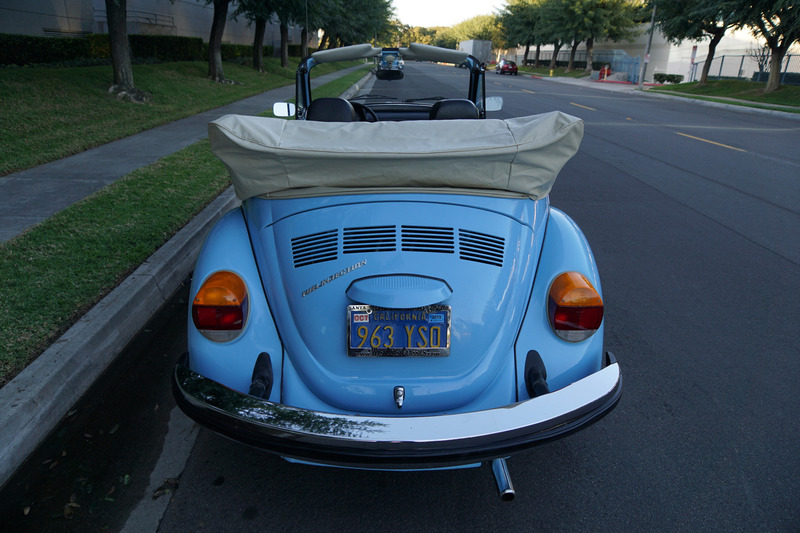 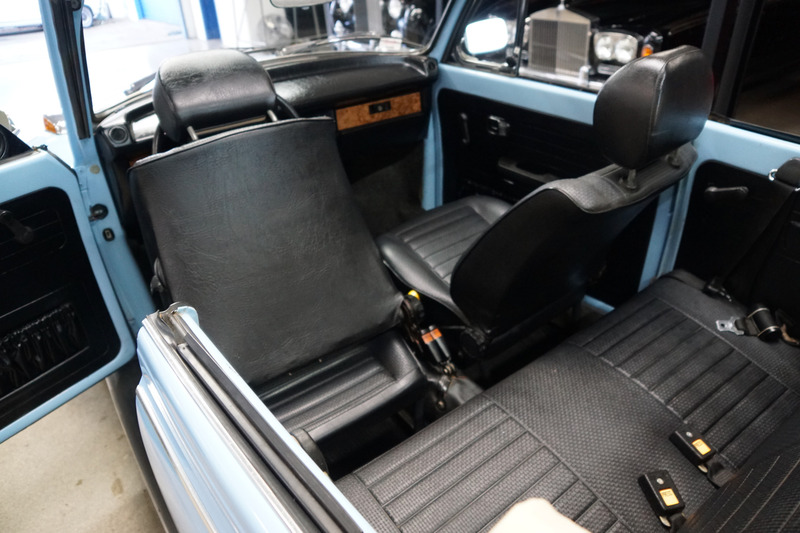 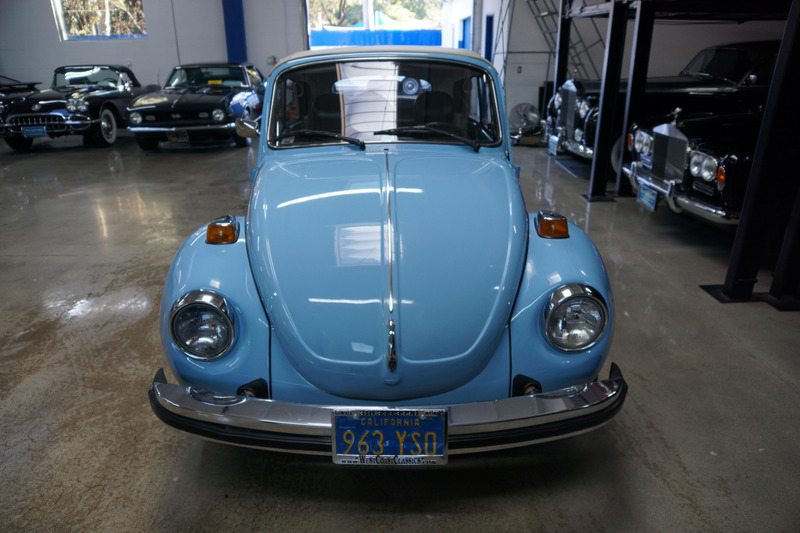 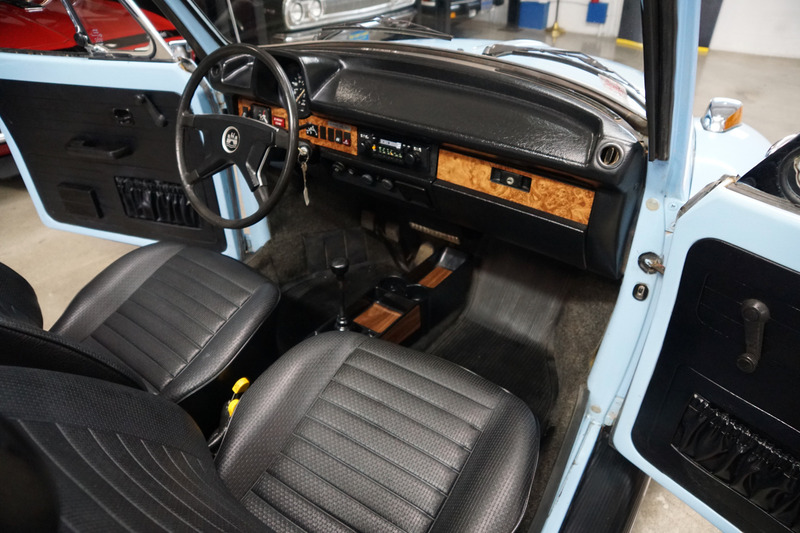 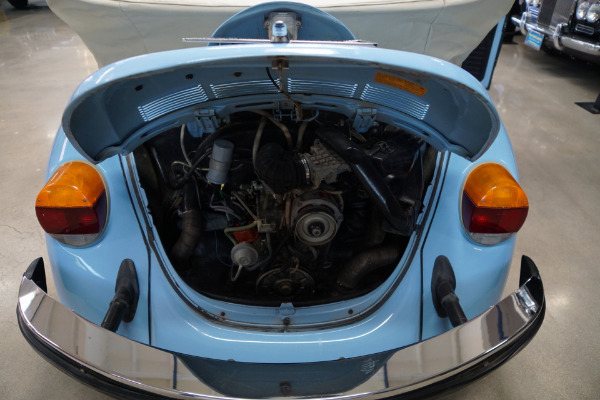 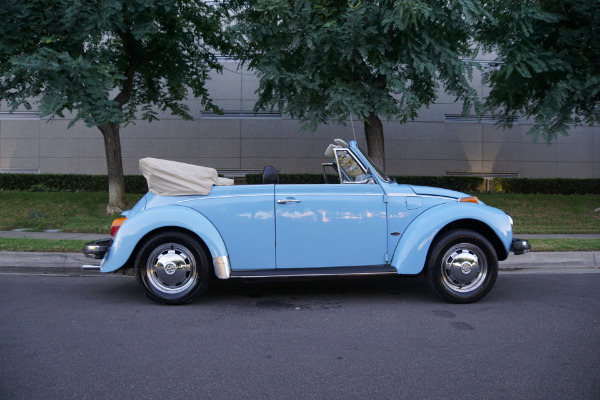 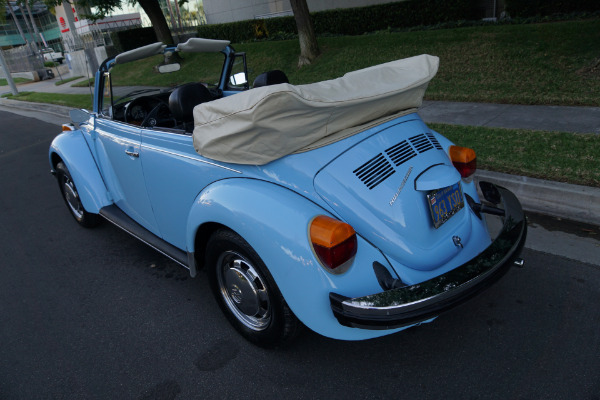 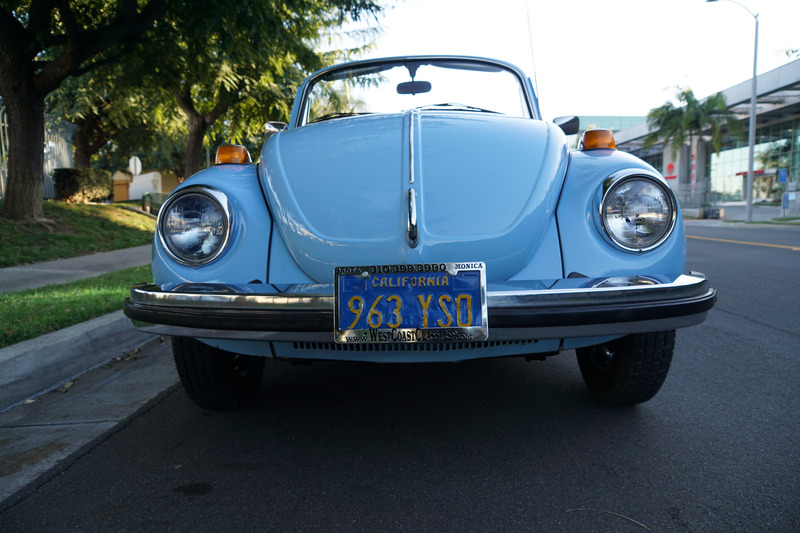 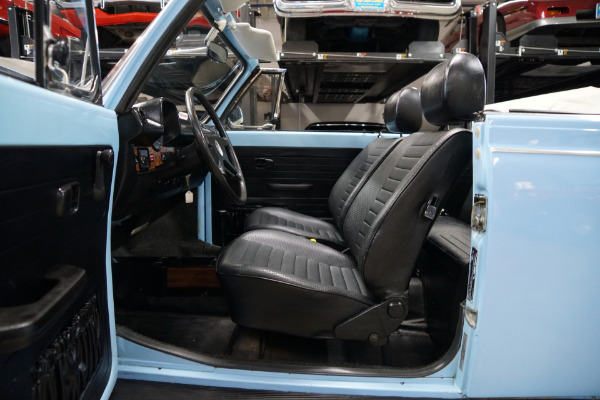 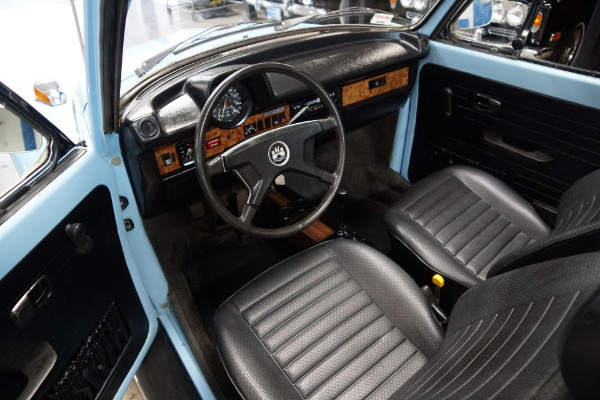 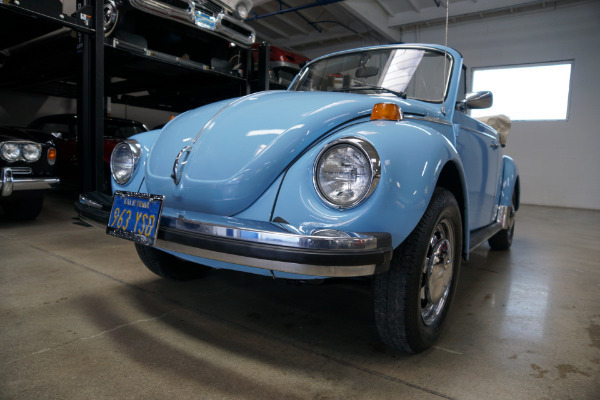 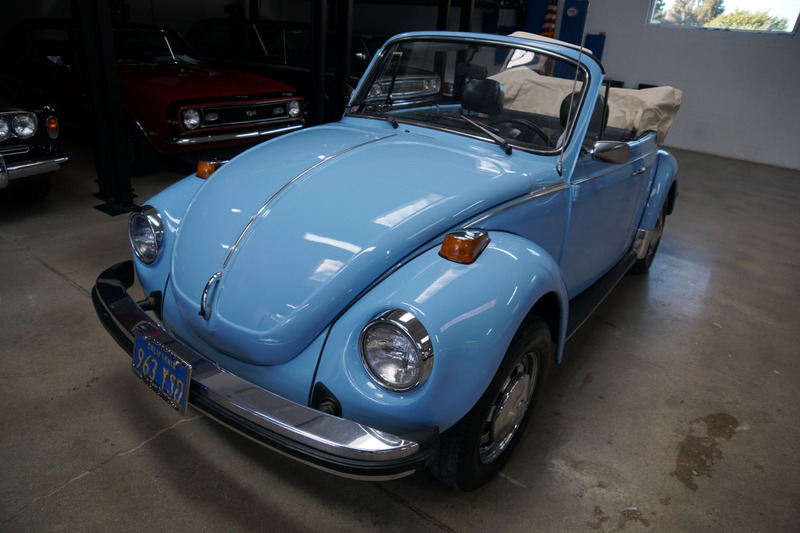 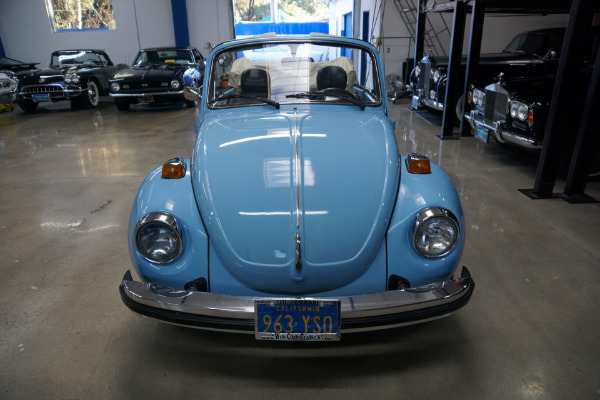 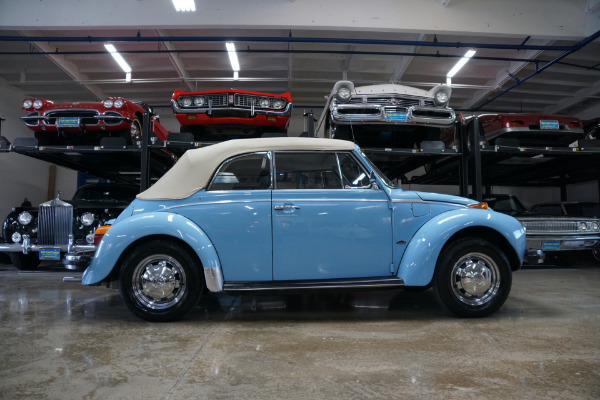 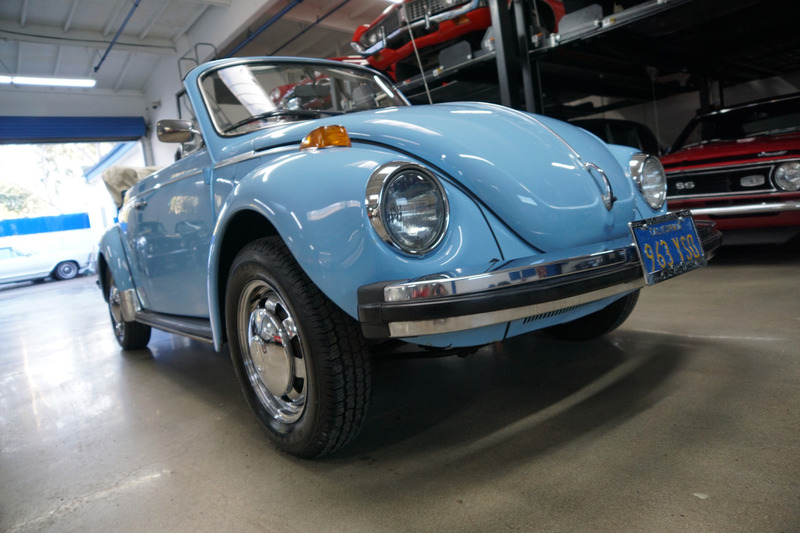 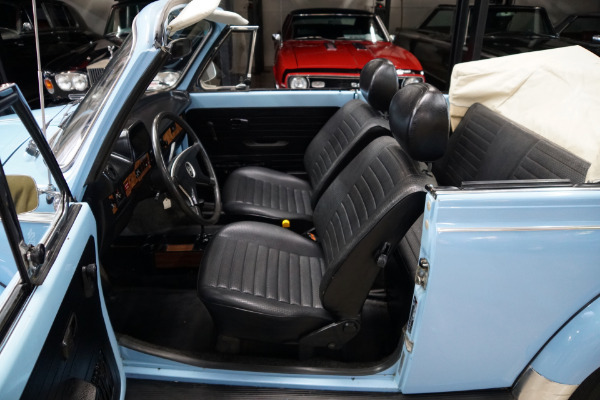 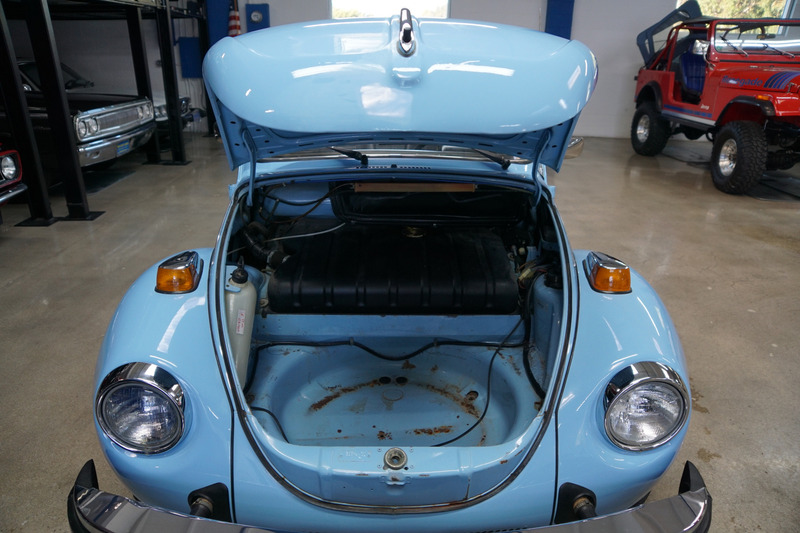 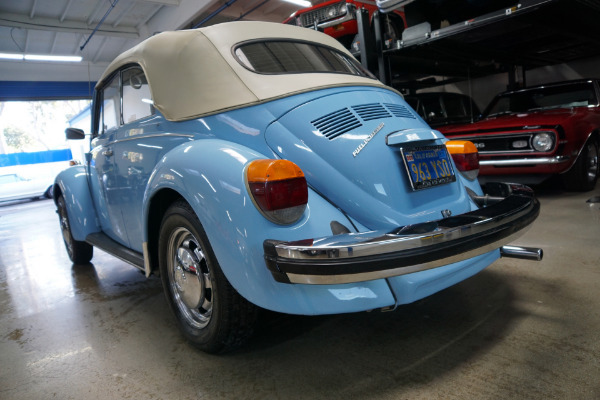 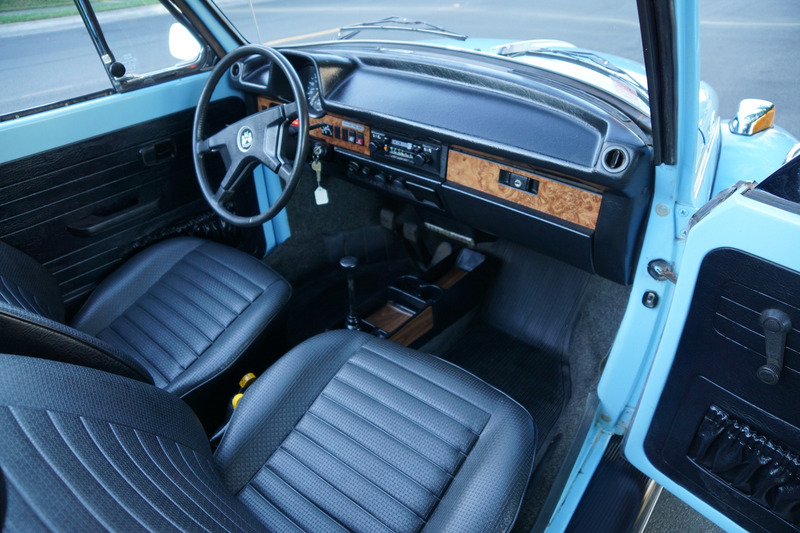 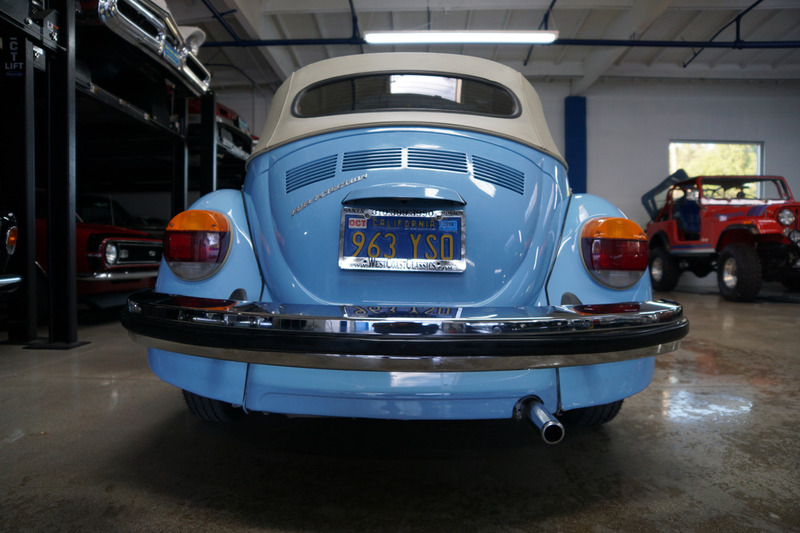 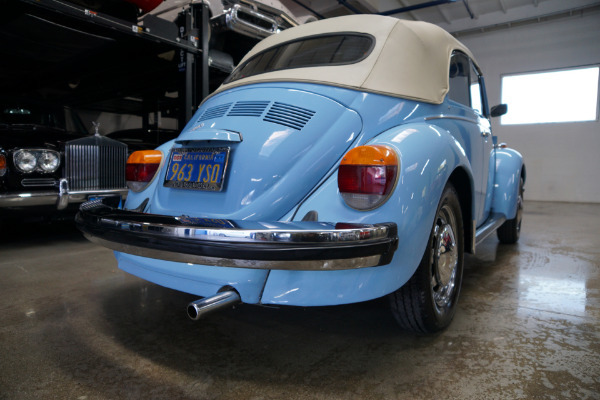 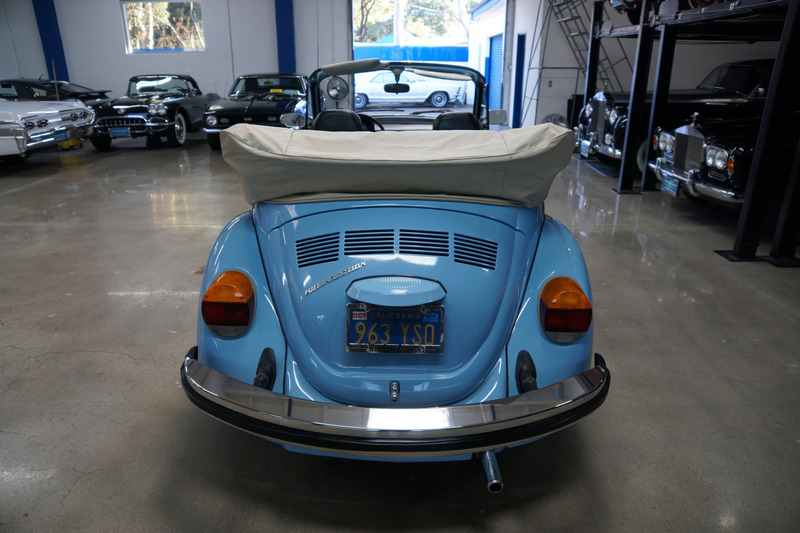 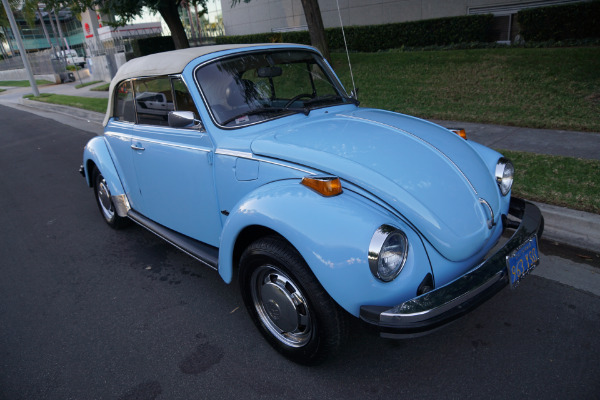 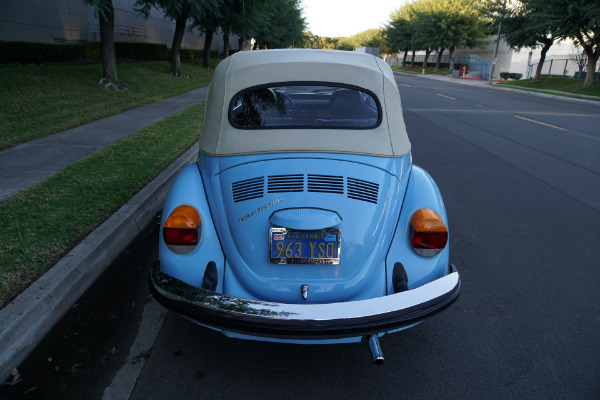 West Coast Classics are proud to present an absolutely exceptional and beautiful example of this one original southern California owner all stock and original 1979 classic Volkswagen Super Beetle F.I. Convertible with only 23K original miles! 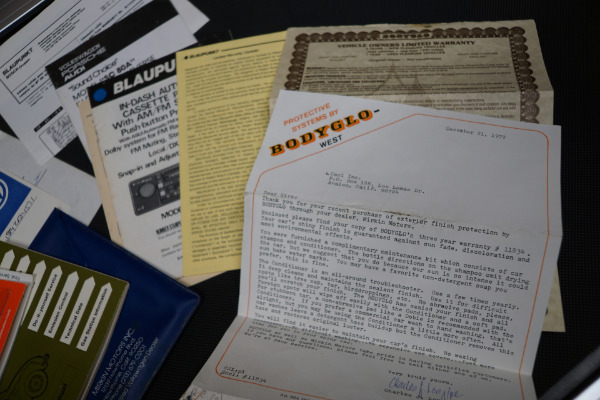 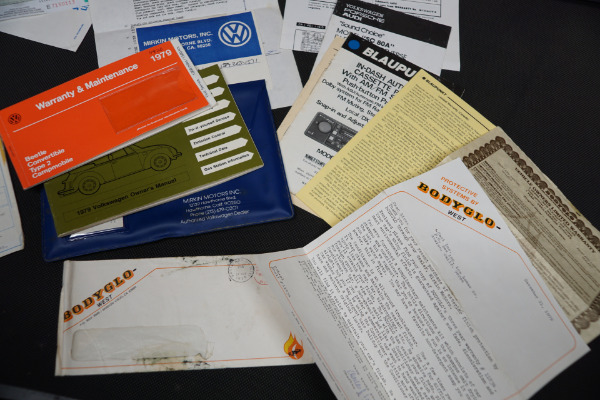 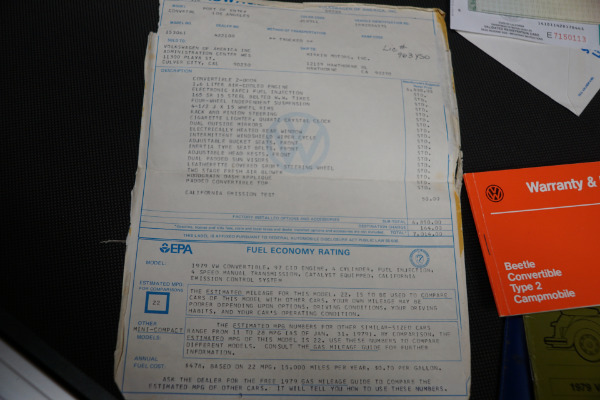 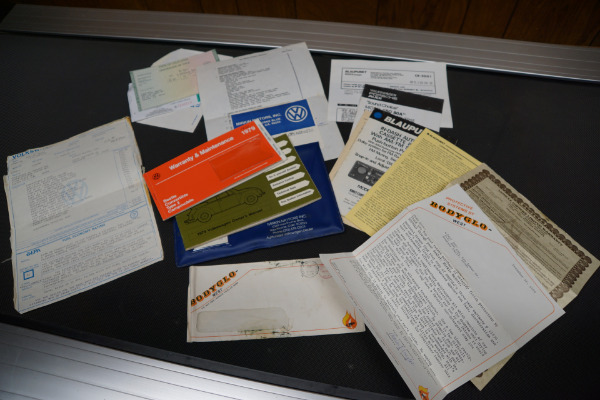 The car will be sold with all its original owners documentation including his original owners manual, dealers warranty and maintenance booklet showing the car was sold on 8/23/1979 at 'Mirkin Motors, Volkswagen' of Hawthorne, CA, with it's original window sticker showing the car to be a California Edition Convertible. 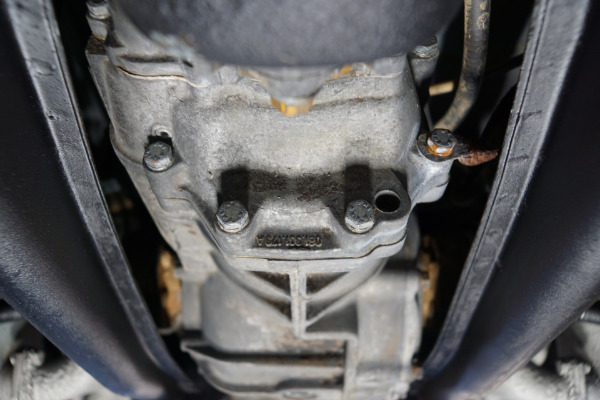 The car has its original 1.6L 4 cylinder air cooled engine with electronic fuel injection with only 23,825 actual miles, 4 speed synchronized manual transmission, electrically heated rear window, four wheel independent suspension, bucket seats, leatherette upholstery, adjustable bucket seats and headrests, dual outside mirrors, leatherette covered sports steering wheel, sport wheels, padded convertible top, heater & defroster, woodgrain dash applique, sun visors, rack and pinion steering and has a manufacturer's estimated mileage of only 22MPG city. 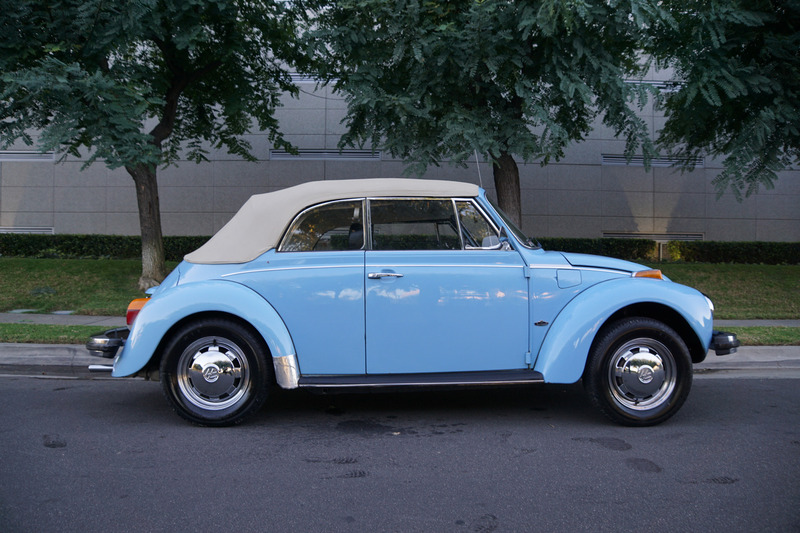 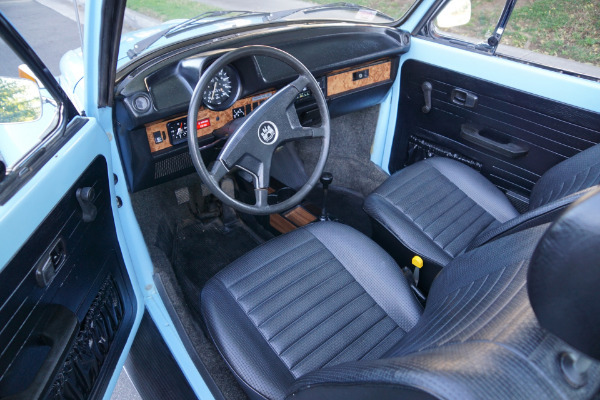 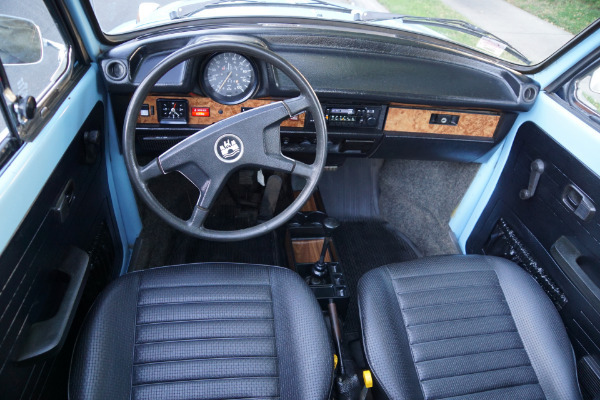 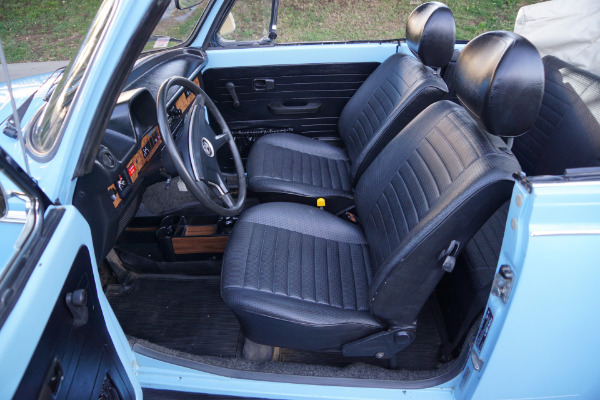 All early Beetle type 1 cabriolet ragtops are eminently collectible to VW enthusiasts, with the last two model year examples of 1978 or 1979, the very last versions being offered, being obviously the most desirable. 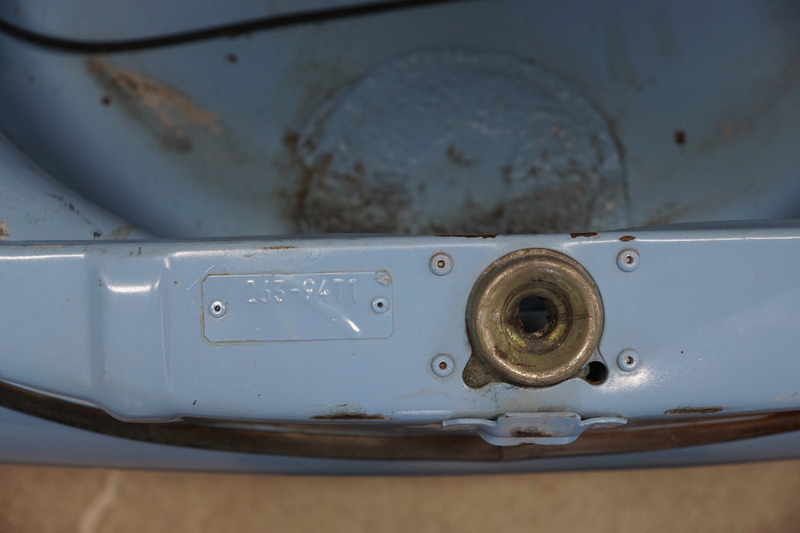 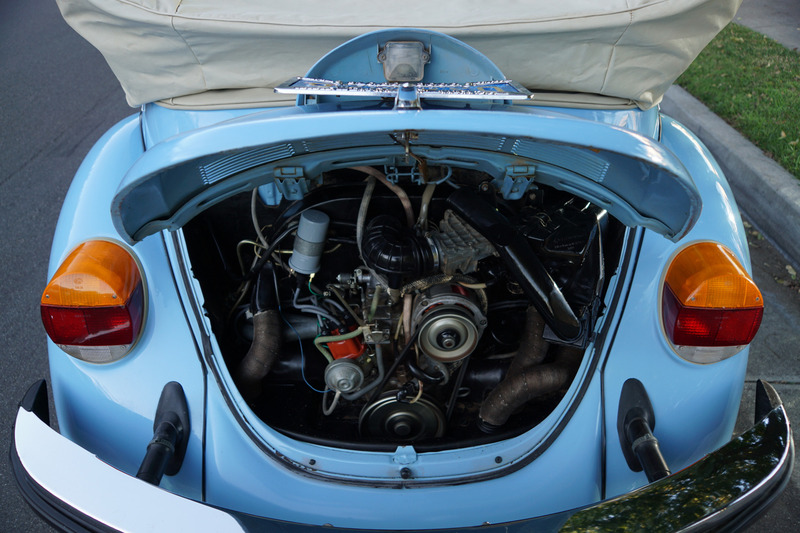 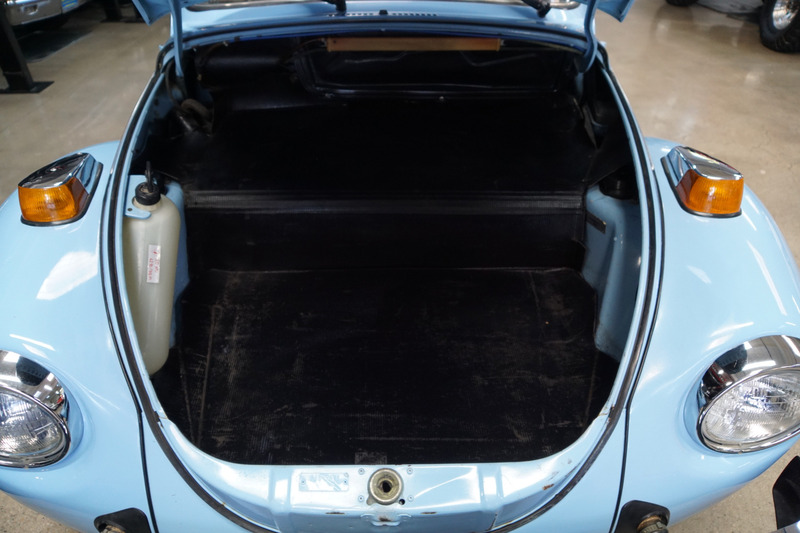 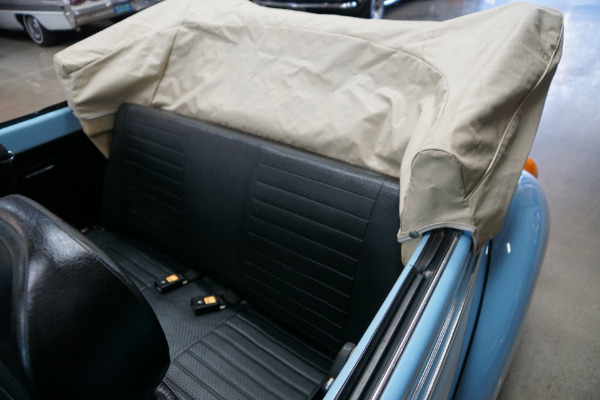 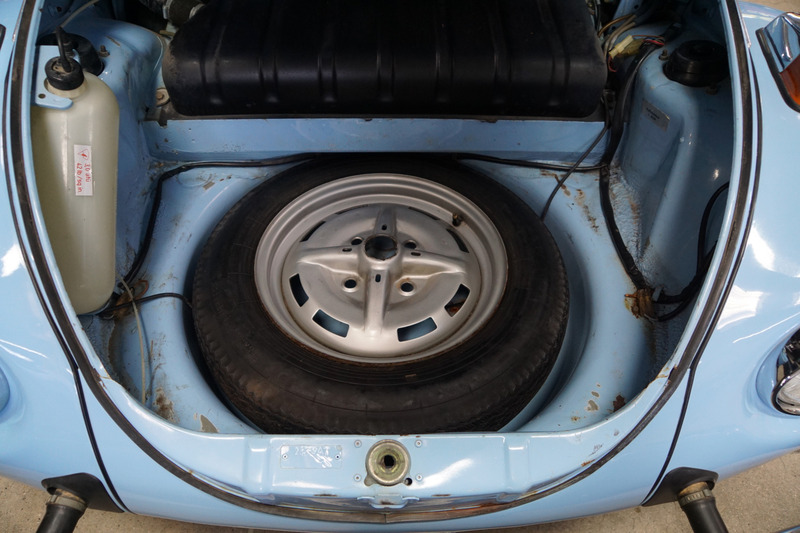 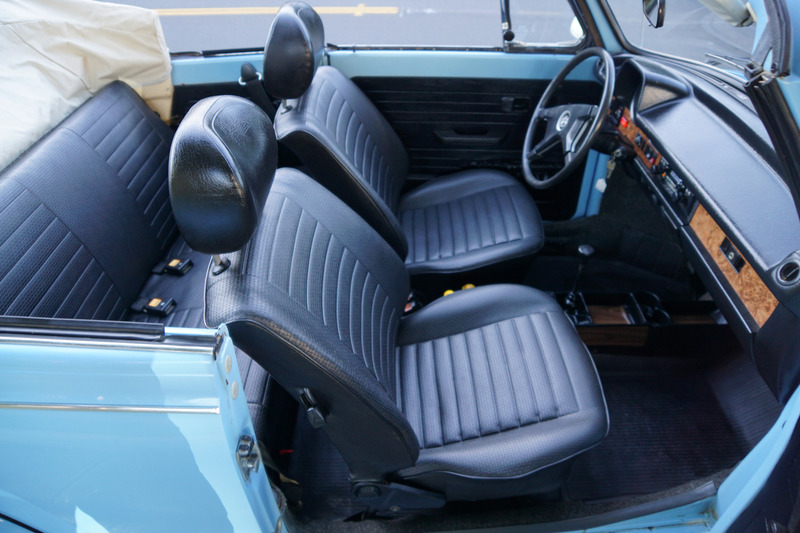 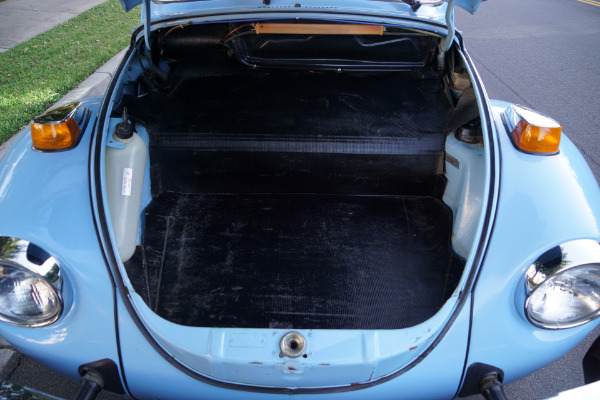 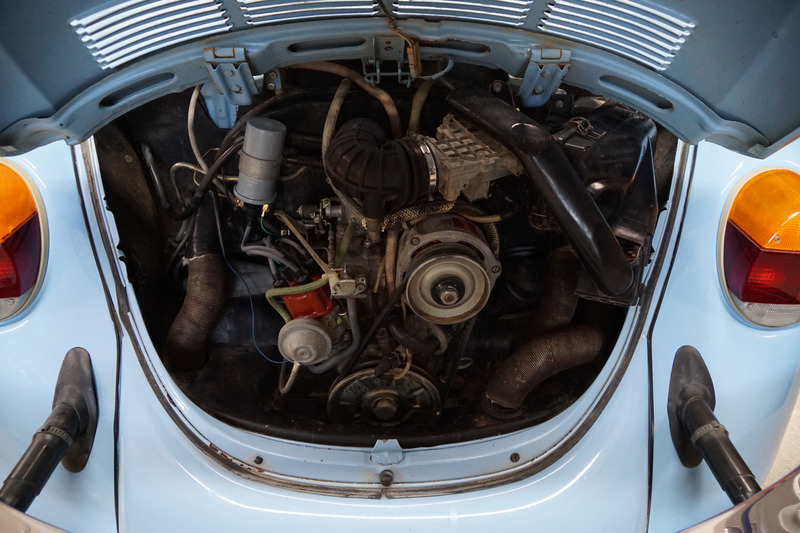 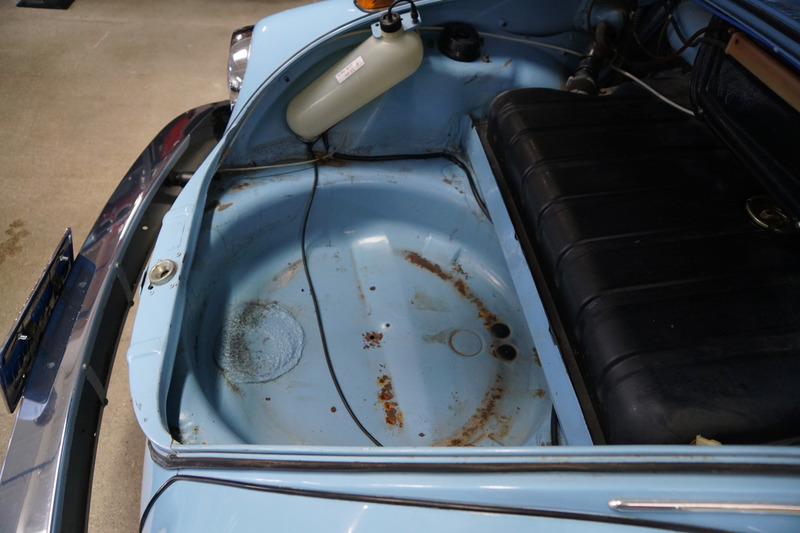 Karmann of Osnabruck carried out the assembly work including installation of the typically Teutonic folding top. 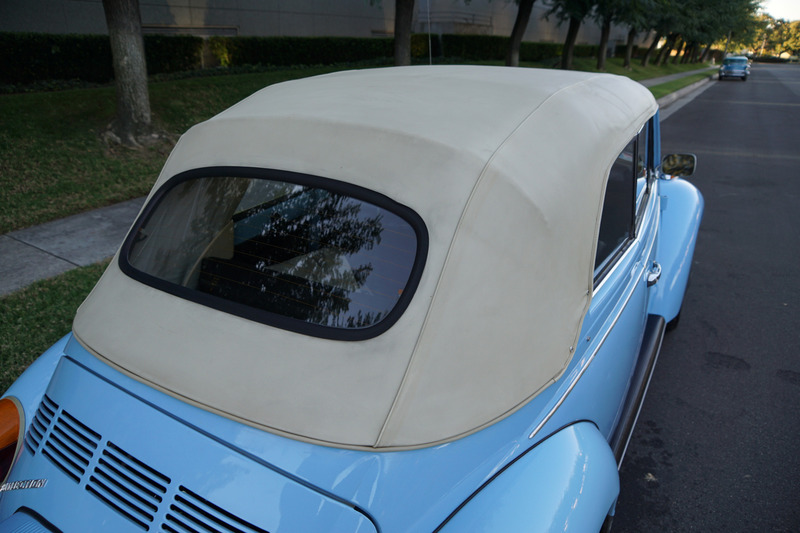 When buttoned up, the convertible was as tight and quiet as the sedan thanks to it's thick 'sandwich' top construction and glass (not plastic) rear window. 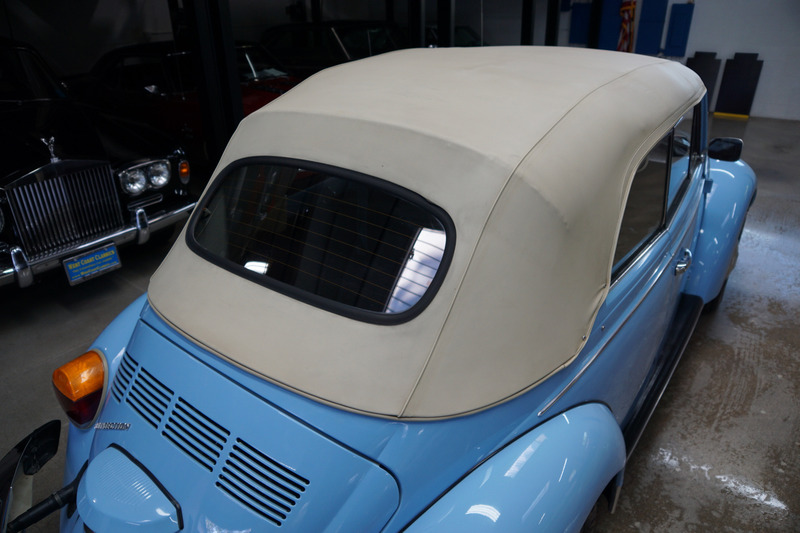 When folded down, the top created an enormous 'bustle', giving the car a look like that of no other! 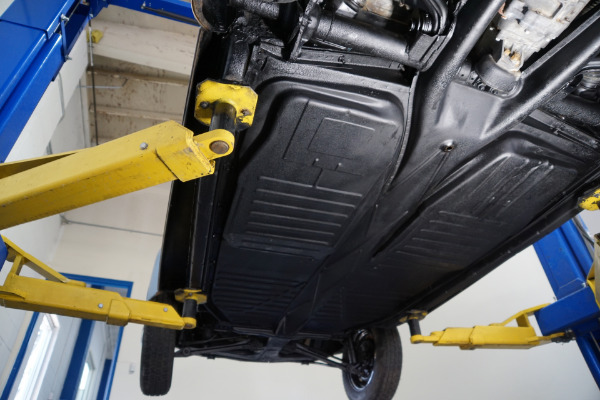 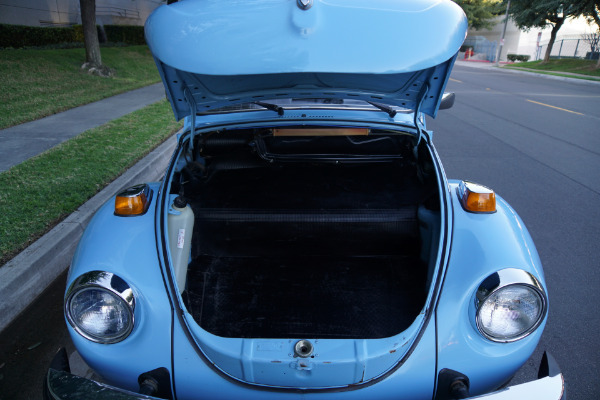 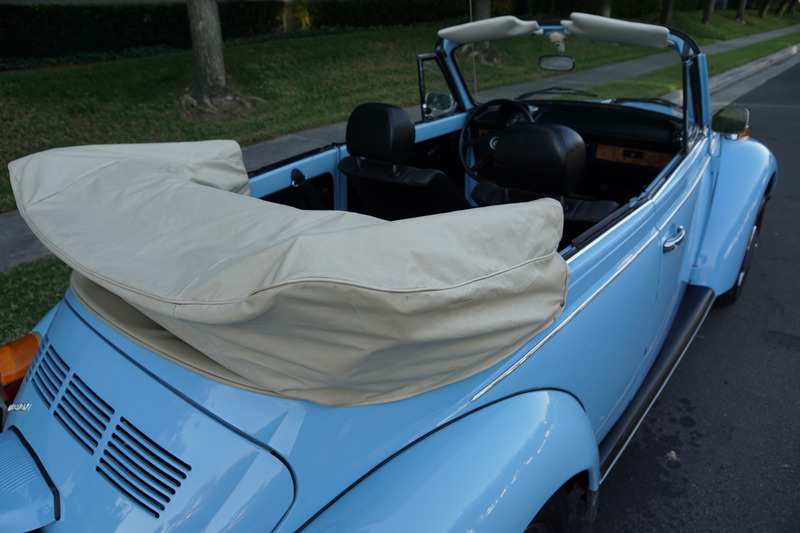 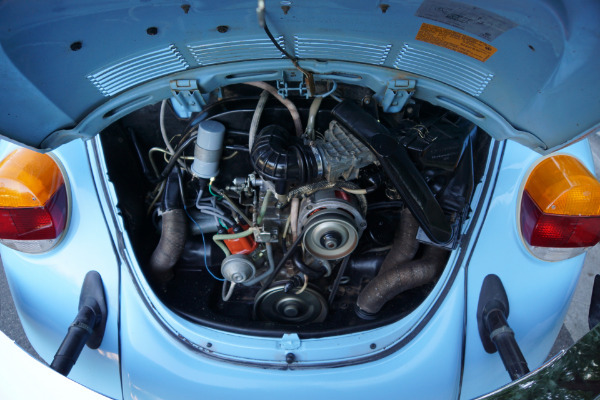 By 1979, the last year Beetle convertibles had become quite expensive in the U.S. owing to inflation and the relative value of the dollar versus the deutsche mark. 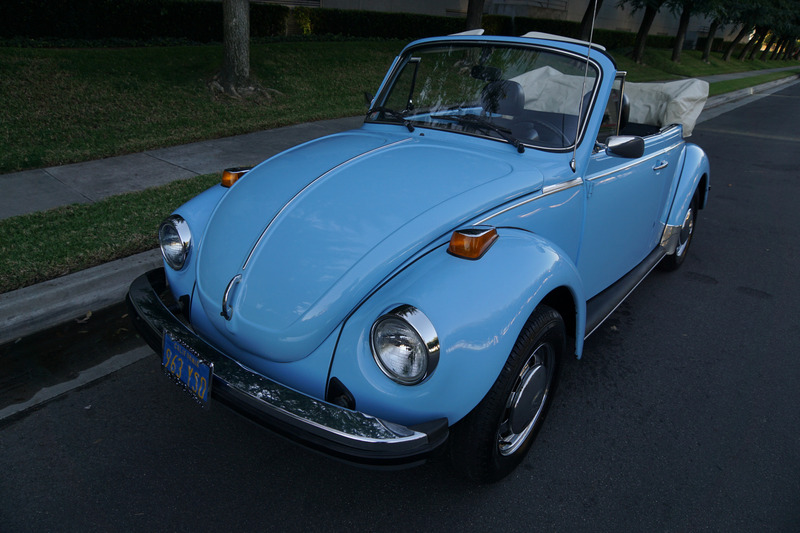 Therefore these will no doubt continue to command the highest collector prices as time goes on as 'the last of the line' models. Ultimately, the VW ragtop is an automobile with permanent and timeless appeal; a piece of motor history that you can drive everyday! 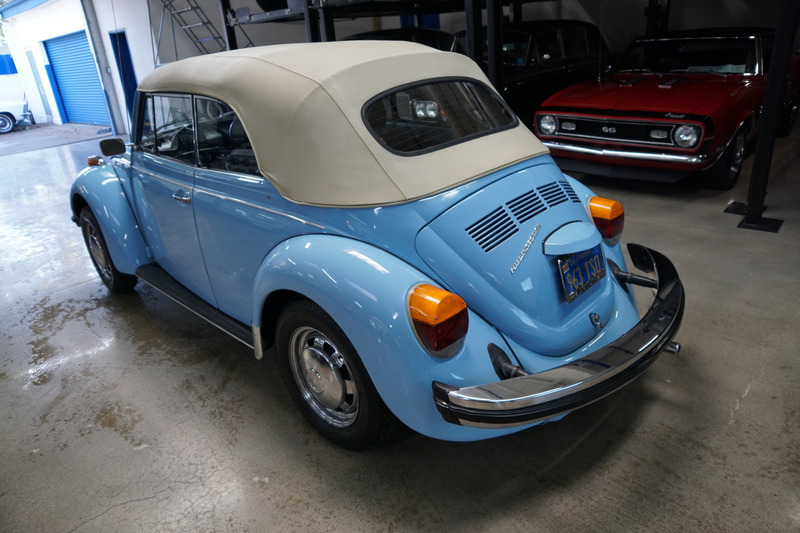 Indicative of the red hot classic Volkswagen market, following the recent years very high price appreciations of the 21/23 window buses, these rare low mileage classic Beetle ragtops are now also commanding increasingly high prices. 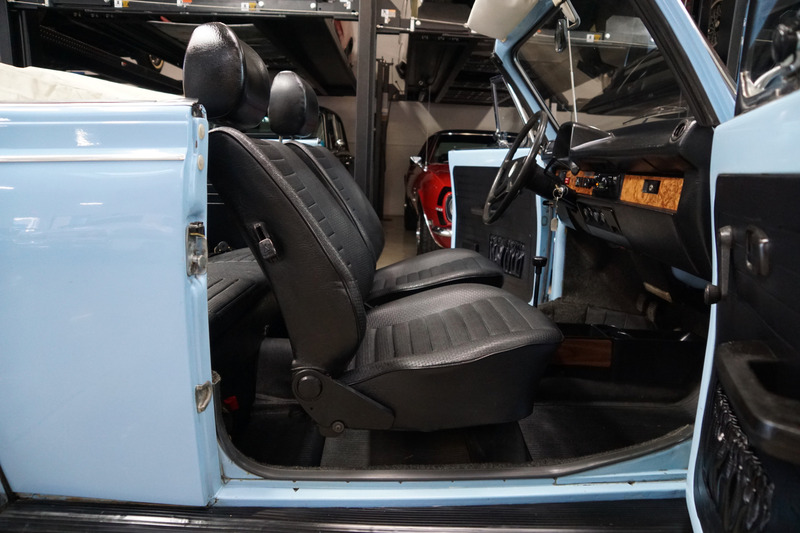 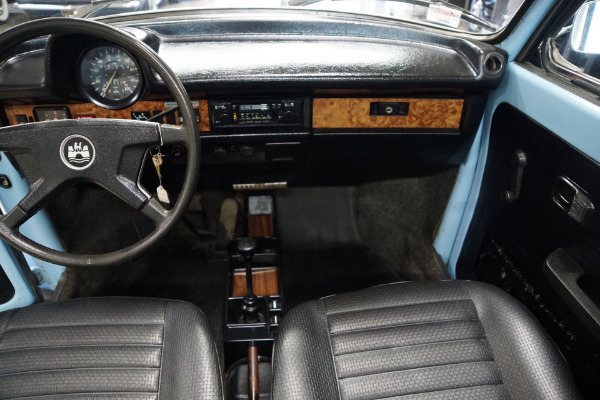 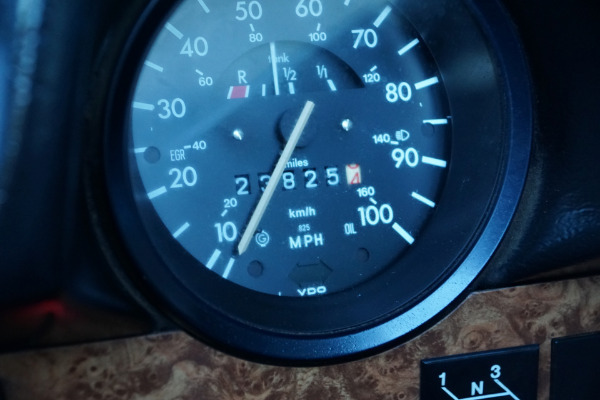 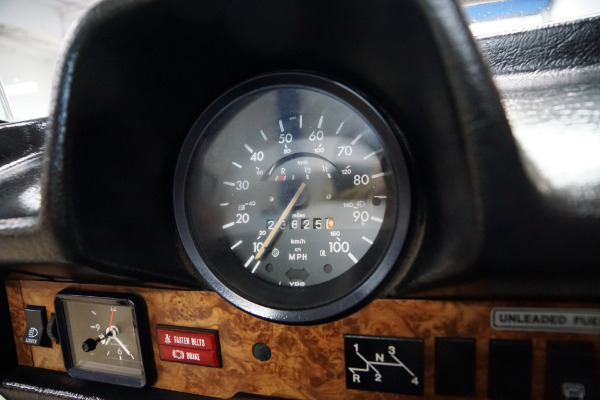 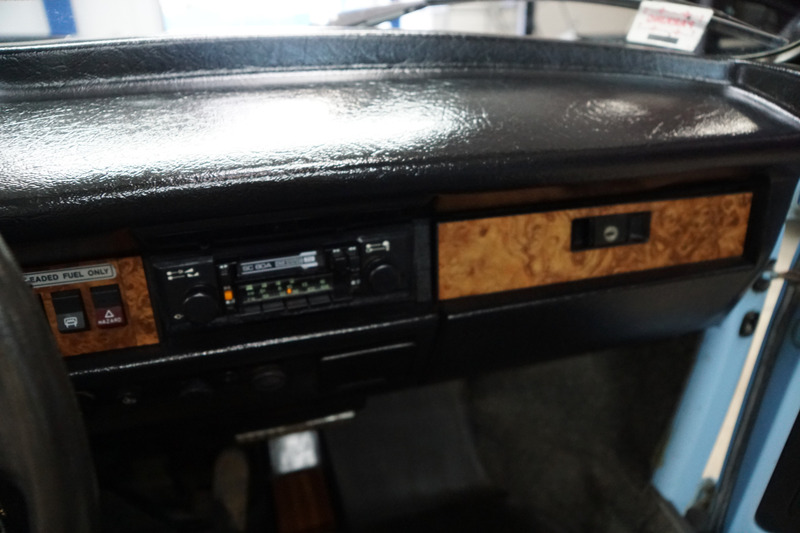 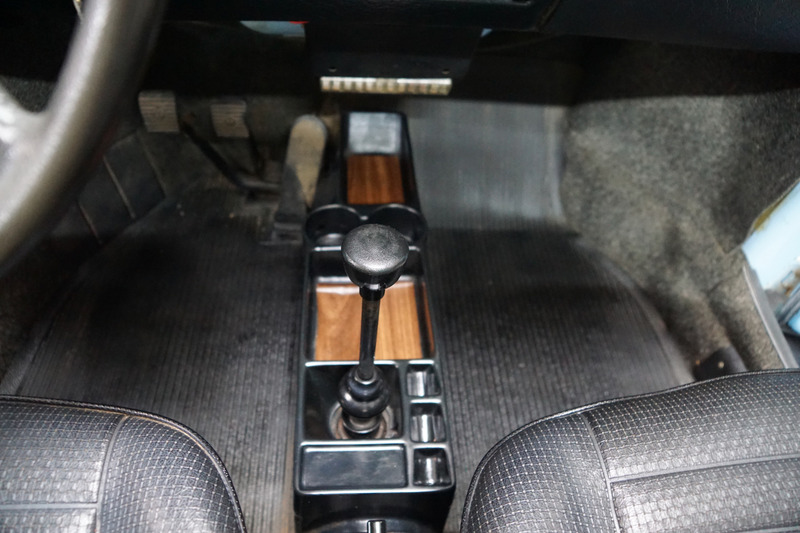 This particular car must be seen and driven to be fully appreciated - the engine is extremely strong and responsive with excellent oil pressure and no noticeable oil leaks and which sounds absolutely magnificent, the 4 speed manual transmission shifts smoothly through all the gears, including reverse, the car brakes and steers great and the engine temperature always remains cool. 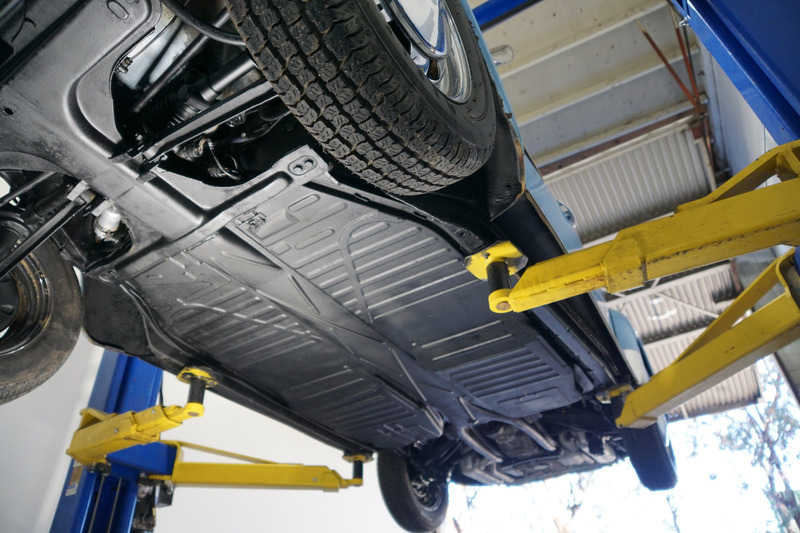 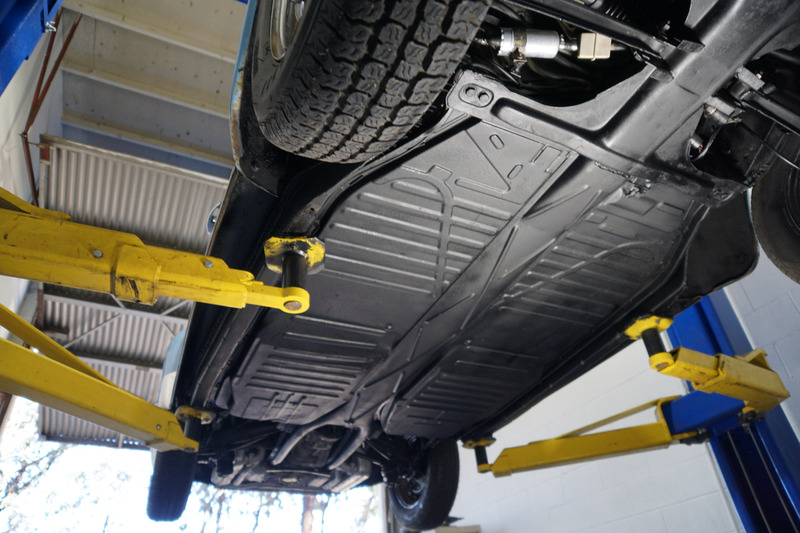 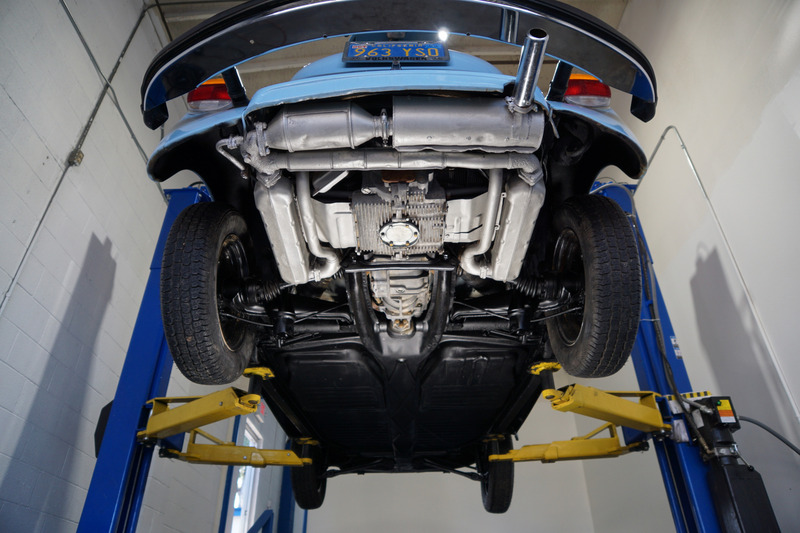 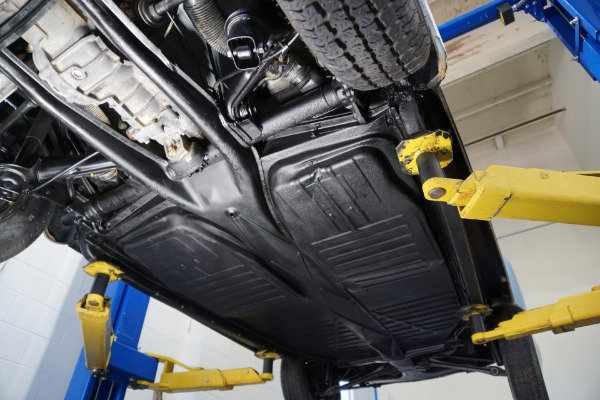 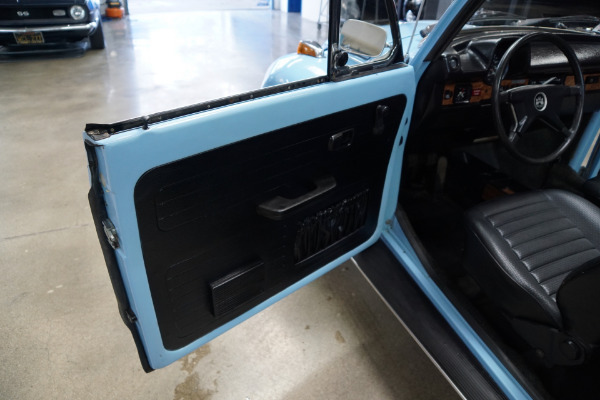 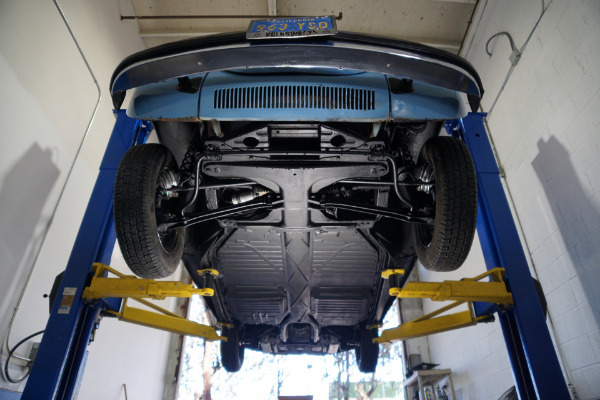 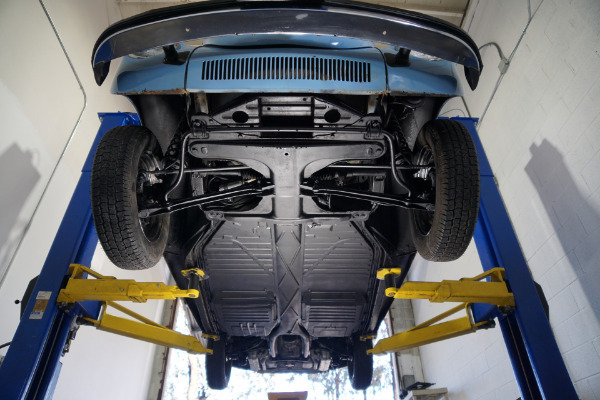 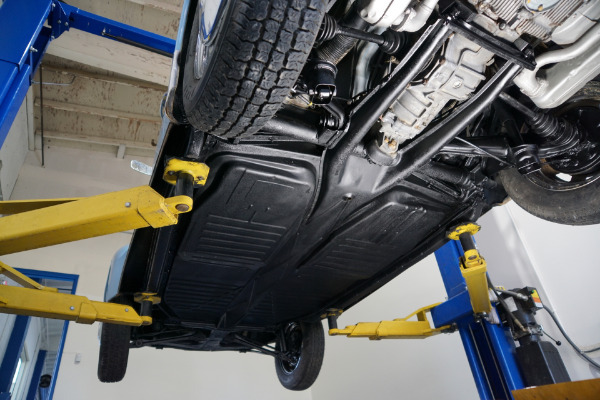 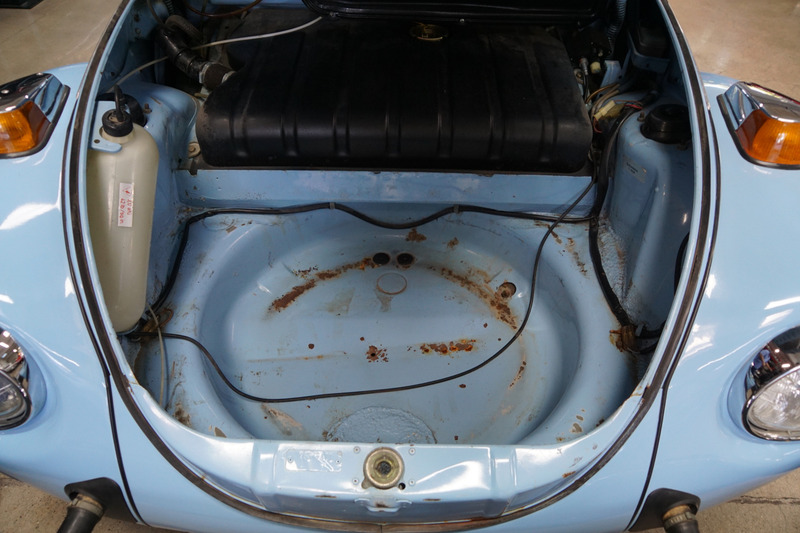 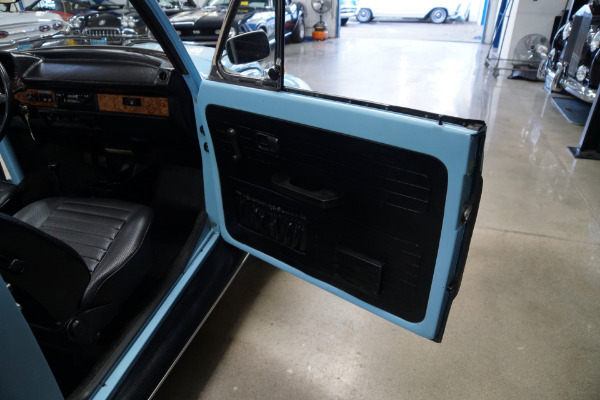 The car has been repainted well once in it's very striking and highly desirable 'Florida Blue' original color paint and boasts it's original 'Black' color interior with a 'White' convertible top and tonneau cover. 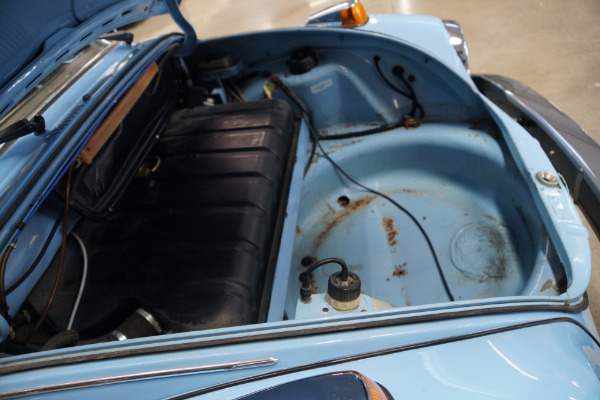 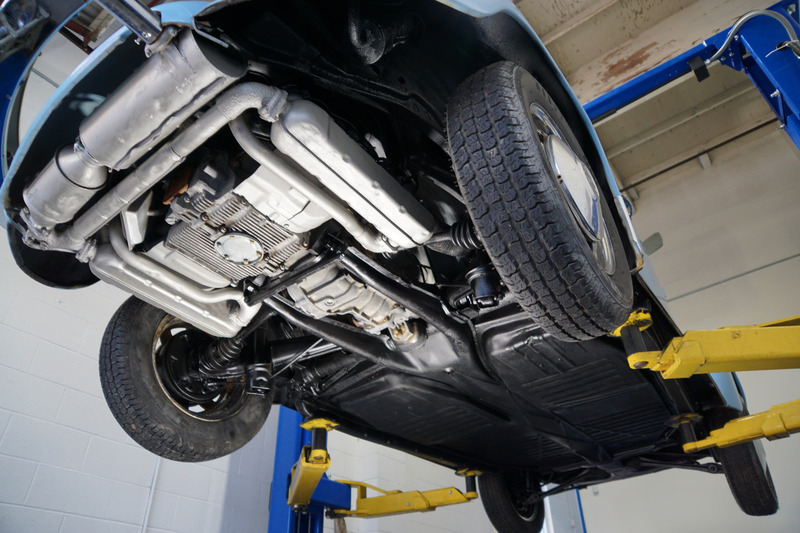 The car has reportedly and quite obviously always been garaged and covered with absolutely no history of any accidents or rust! 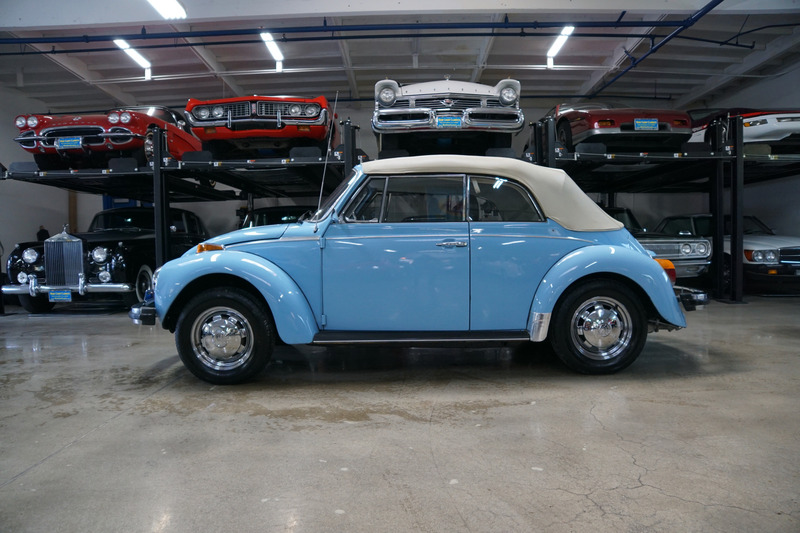 This must be one of the finest example's available anywhere of this very increasingly collectible and highly desirable example of the very last years of production of the original VW Classic Beetles in this highly striking color combination - a beautifully looked after and maintained and always garaged and covered southern California example with only 23K original miles and only one southern California owner since new with all its original documentation in rare turn-key ready daily appreciating, daily driving and daily head-turning condition of an all time legendary classic car!